The Rebel Sweetheart. : Spazz Saturday #3 | Gangnam Style! 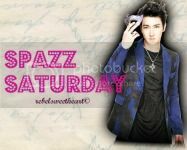 Welcome to week three of Spazz Saturday! 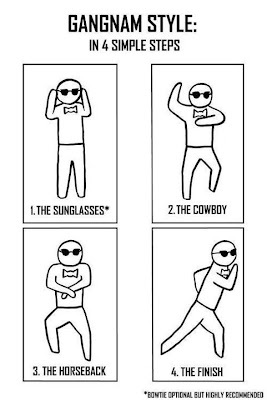 Unless you've been living under a rock, then I'm pretty sure you've seen or heard about 'Gangnam Style' - PSY's single that has taken the entire planet by storm. 'Gangnam Style' is a Korean colloquial term that refers to the luxurious lifestyle associated with the rich and famous residents of Gangnam district - the most upscale and affluent part of Seoul. Think of it as 'swag' or 'yolo' in English slang. Released last July 15, the song was written and recorded as the title single of the sixth studio album PSY 6 (Six Rules), Part 1 and became the talk of the town among Kpop fans as soon as its video was released on YouTube. The video became viral, and went on to become an international sensation. This overwhelming popularity paved the way for PSY's international stardom - this includes PSY's expansion in the United States, plus his U.S. debut appearance at the 2012 MTV Video Music Awards. PSY also gained the interest of many Hollywood top honchos, including Justin Bieber's manager, Scott Braun. 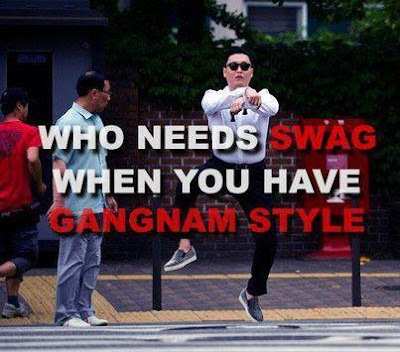 To date, PSY is now part of SchoolBoy Records, where he recently signed a contract with. How about you? What's making you spazz right now? Share your posts below! Remember, this linky party is not limited to Kpop idols or Korean stars. I just happen to be very, very, fond of them. Please don't forget to link back to this blog or grab the code above! Comments are most welcome, too. Ang galing ng song,kulit ng pagkagawa ng music video. 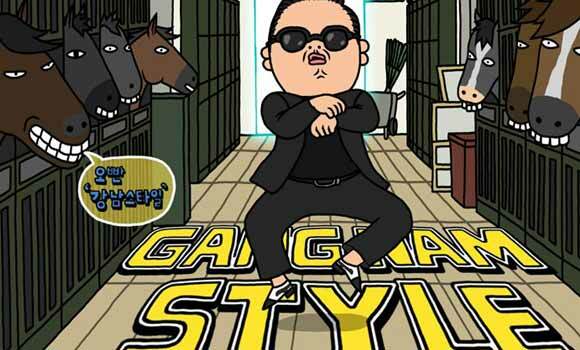 The Gangnam style seem so cool and the music is fast beat, it can shake out your system. I am watching the feature on Kapuso Mo Jessica Soho right now and as much as I have not lived under a rock lolz I am not really into KPOP and have not time to sit and watch the Gangnam style trending on twitter for days now since MTV Music Awards haha:P thanks for sharing! now I know! The IN thig today. I've seen video of a an old lady doing this dance steps. Sikat..
i have read about it but never heard one, they look really cool and i always love korean style. This is the talk of the town..cool, funny and very exciting too see others do this style. I'm just not into Kpop so I have no idea what/who this is... but the video is really cool and funny at the same time! I saw this on TV. Not my favorite as I have no idea what he is saying. I'd have a better opinion if I knew the lyrics. 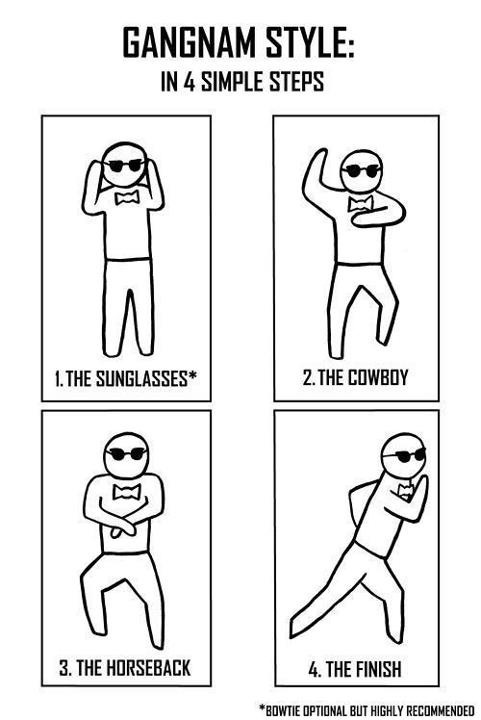 I have never heard of this gangnam style,but it seems really cool! I saw this video over the weekend on you tube and heard about some professor explaining the meaning behind gunam star on tv.. seems really cool and inspirational for the Koreans. I can see why it's so catchy. This was great!